Jürgen Klopp addressed the media at Melwood this afternoon ahead of Liverpool's trip to Hull City on Saturday. The boss provided an update on the fitness of his squad, as well as his views on the atmosphere at Anfield during Tuesday's draw with Chelsea and Georginio Wijnaldum's goalscoring potential. 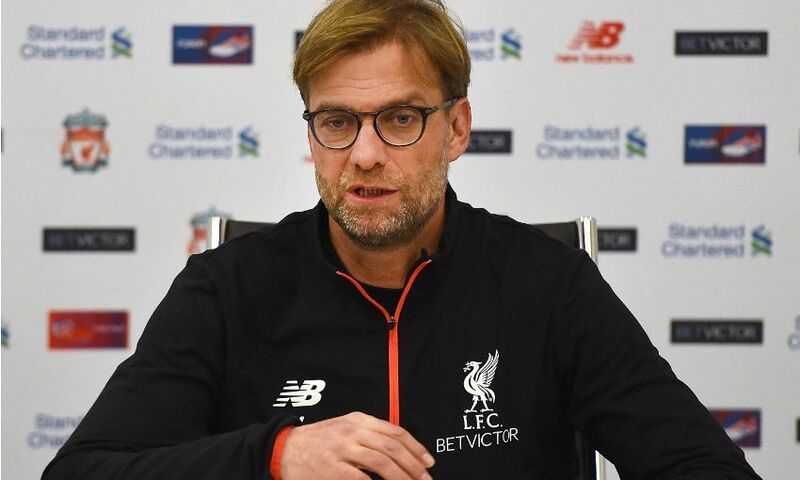 Klopp also discussed the Reds' record against other teams in the Premier League's top six and the challenge Hull City and their head coach Marco Silva will provide this weekend. We won a lot of games against these kind of teams. We lost three against those teams that you would call ‘weaker’ or whatever. It was about us, it’s not about not knowing how to do it or whatever, we didn’t do it always that well. If you want to pick out these three games which we lost then I think Burnley was pretty special, very early, it’s almost not allowed to put it in that bunch of games. Bournemouth was very special, we did really well and I don’t know what happened there - we gave it away but we did everything nearly perfect until a specific point. Even Swansea was not good but it was that we had no chances or something like this. Even when you are a perfect side, which we are not, then obviously you will lose football games, that’s how it is, that’s why nobody wins 100 per cent of games in a season. But I think we’ve proved often enough that we know the way to do it, the problem is that it not always works – that’s why we are working with human beings and things like this happen. It’s always a different situation, in three or four weeks a lot can happen. That’s a job to do, to react to this. You can react before it happens, sometimes you have to react after it happens., about confidence, about form, about shape, different things and it’s not that easy to explain. But for me the most important thing is that we know how to play them, but now we have to show it all the time, that’s how it is. [Anyone] who saw Hull yesterday against Man United, I thought should be really impressed by the way they’re playing. OK, the last 20 minutes was one-way football because United started playing the long balls and it was difficult, but even then they did well, one or two brilliant goalkeeper saves. Hull is still second from bottom – but when you saw them playing yesterday, I couldn’t see it, I couldn’t see it, so that shows how difficult the job is to do. [They have] a lot of good players now, Huddlestone [looked] outstandingly good, but when he played here it was completely different, for example. That’s what teams can create and Hull can obviously create a bit. It’s not about thinking about what we have to do there and then, they had a really deep formation in the last 20 minutes but that was forced by United – in all other parts of the game they were a football-playing side. We will see what happens against us, we play different to Man United, but I think we are prepared, we have meanwhile a lot of different things we can do on the pitch. We need to bring it on the pitch and then we have a good chance, but it will be difficult. I am impressed, what can I say? It was a pretty interesting challenge to make the analysis, we’ll do it today finally because Peter Krawietz and some of our boys were there to watch the game live because they’ve had a lot of different line-ups and systems in the last few games and it’s interesting to watch. They’ve played United now three times, the power and strength of United, OK, that’s not too easy but they did really well and that’s without confidence because of the results because they don’t always get [good] results so Silva is obviously a good manager.